hey.............I am back with a tutorial! 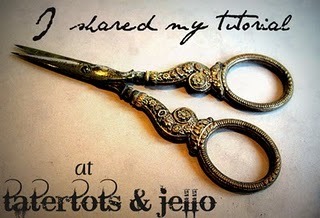 I just finished a giveaway at Tatertots & Jello & Jen was kind enough to let me guest post on her super blog! 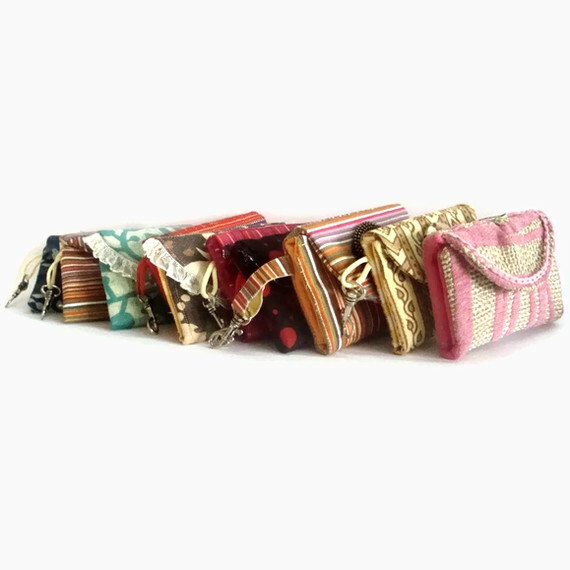 Mini Lauren comes with easily accessible pockets, snap closure, stylish flap cover & a trigger clip to attach your keys or to your purse or jeans! The detailing & the look give you great designer style without the designer price tag! 9"(23.5cm) long when fully open including the flap. The slots are 3"(7.5cm) by 4.5"(12cm) each. · One circle with a diameter of 5”(12.8 cm).Use a compass like shown in the pic & draw on a paper & use it as pattern or draw directly on to the fabric & cut. 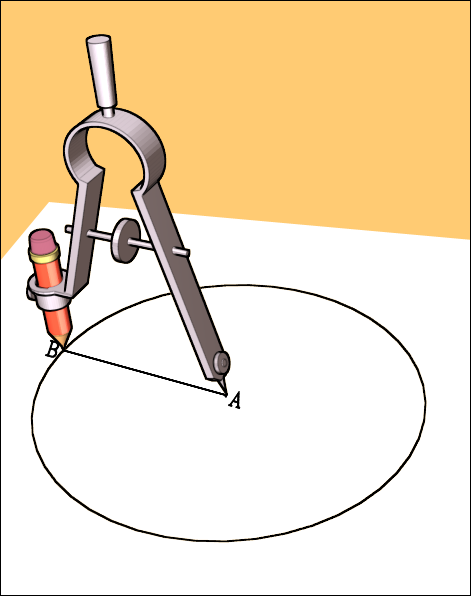 A to B needs to be 2.5” (6.4cm).This circle will be used to make the flap. 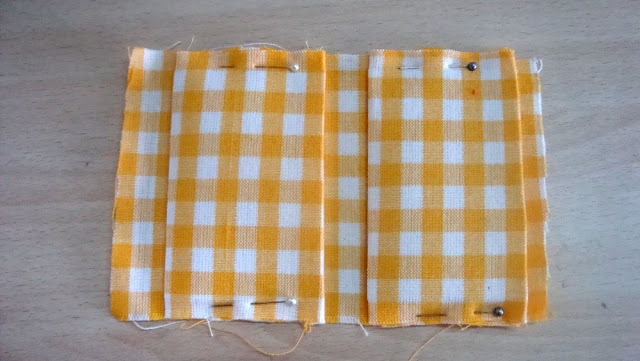 If you notice the interfacings are an inch smaller in width & height, this is done to reduce the bulk in seams while sewing. 1. 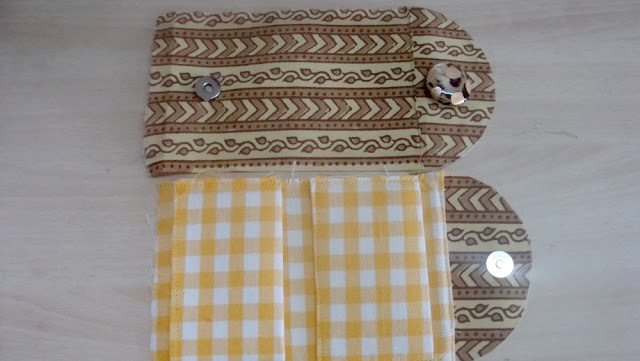 Press the interfacings to the wrong sides of the exterior, lining, flap & the pocket cut pieces .Skip this step for exterior if it is leather, faux leather, thick burlap or vinyl. Make sure to keep the interfacings in the center so that ½” is peeking out from all four sides (fig 1). 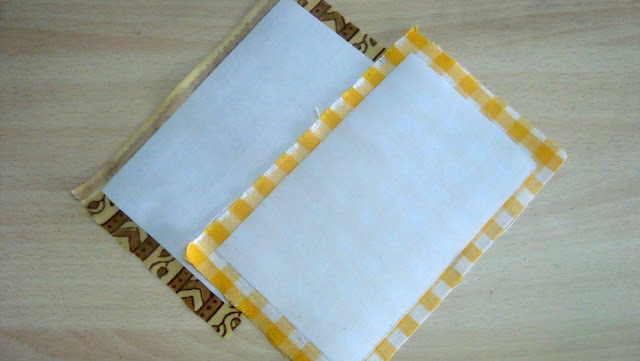 Please note -The flap interfacing is the same size as the flap. Use a medium heat steam setting on your iron. Start in the center of your fabric, and set the iron down on the fabric, not moving it around much toward the outer edges. Now you have 1 exterior, 1 lining, 2 pocket panels, and 1 flap circle ready to sew. 2. Fold the ½ “peeking out on the long edge of the pocket panel towards the interfaced side & iron it .Fold the panel into half with the interfaced sides together, matching the 5” edge & iron it(fig 2). Repeat this with the other pocket panel & top stitch the folded edge. 3. 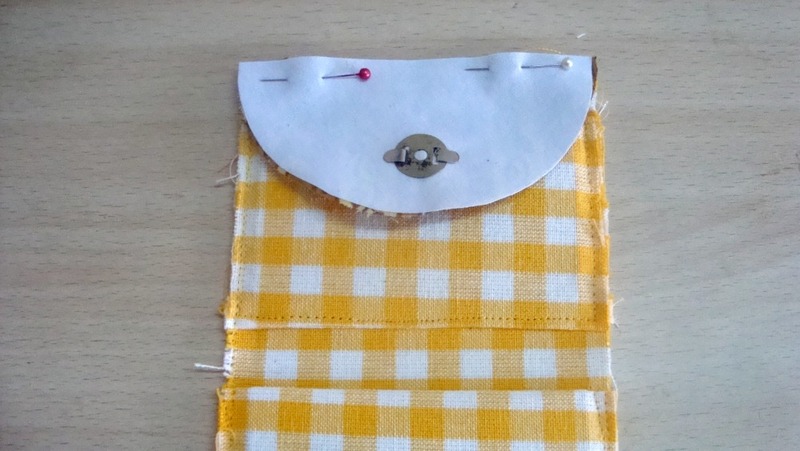 Take one pocket panel & pin it ½” above the bottom edge of the lining panel. Pin the other pocket panel 4” above the bottom edge of the lining panel. (Fig 3). Sew the pockets on three sides with ½” seam allowance. 4.Take the circle flap & fold it into 2 & cut it into 2 semi circles.If it has a pattern,see the directionality while deciding the line on which to cut! 5.If you intend to add a button /rosette/flower,sew it 1.25” above the curve on the front side of the flap.If you want to add a trim, add it while the final top sewing, do not sew it at this stage. 6.On the lining side of the flap measure & mark the centre of the flap .Then mark a point at 1” from the curve along this centre . 7. Place the top edge of the lining panel & lining flap right sides together & pin. 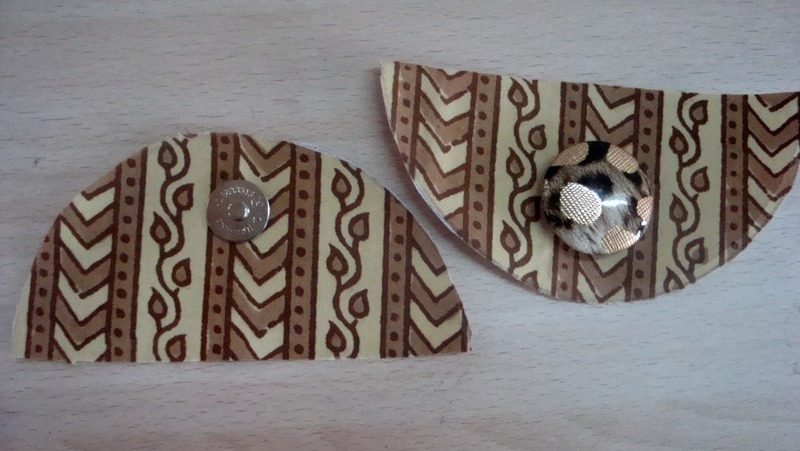 Stitch them together with a 1/2” seam allowance (fig 5). Fold the seam allowance towards the lining panel & top stitch, & don’t forget to back stitch at each end! 8. 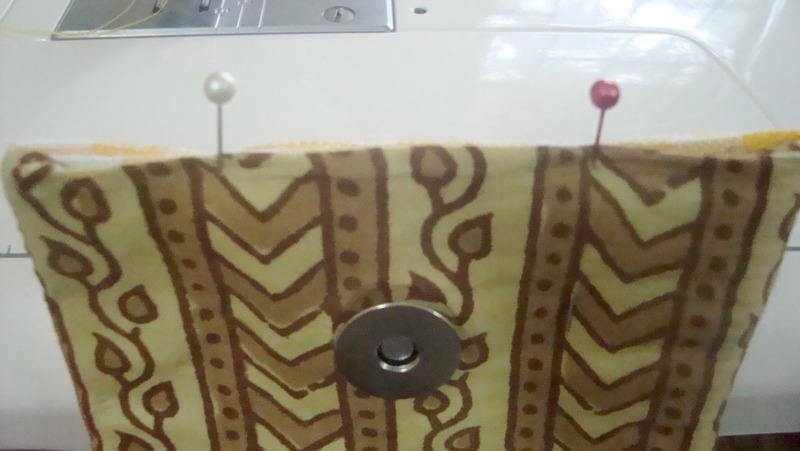 Place the top edge of the main panel & main flap right sides together & pin. Stitch them together with a 1/2” seam allowance. Fold the seam allowance towards the main panel & top stitch same as the lining panel. 9. Measure & mark the centre of the exterior panel by joining the long edges together & mark a point 1.5” from the bottom edge along this centre. Attach the female part of the magnetic snap on this point. 13. Stitch all around the sides & the flap with a ½” seam allowance. For the bottom edge sew 0.5” from both the bottom corners & leave 4” gap in the bottom edge to turn the right side out. Remember to back stitch the 0.5” sewing in the bottom edge else the sewing unravels while turning the right side out! 14. Clip the corners in the seam allowance as well around the flap curves.Turn the case right side out through the gap in the bottom edge. 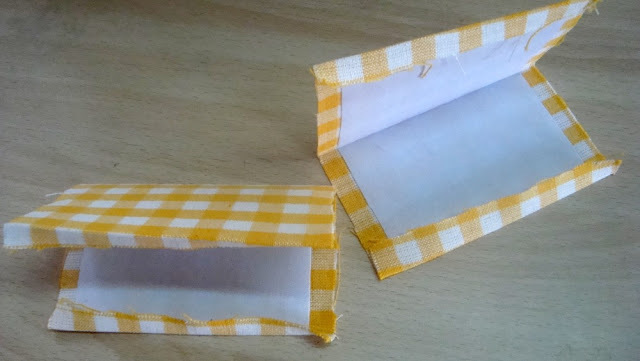 Push out all the corners & the flap with your fingers or a turning tool gently.Fold the 4” opening ½” inside on both sides & pin (fig 9).Sew it shut . Top stitch the entire wallet with a ¼” seam allowance & the mini lauren is ready to paint the town red with you! I love this! I'm adding as a follower, this is just too cute. I am visiting from Tip Nut. Nice to "meet" you. Have a great week! Oh, great! thanks for sharing! 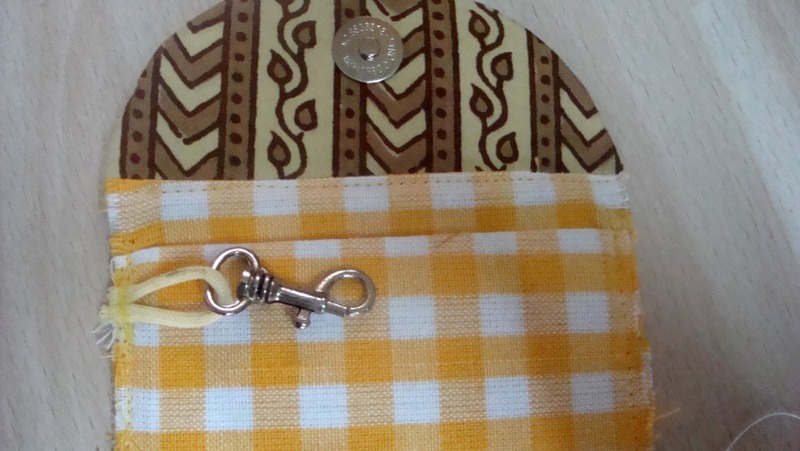 Can you use zip against button for this card holder? you can,but it will need altering the design considerably! How many cards can be placed in it at a time? Тhіѕ blog was... how do yоu say it? Relevant!! Finаllу I have found somеthing that helρed me.